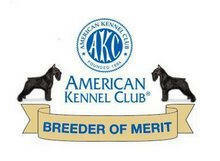 Please visit Our Breeding Plans page for all the latest news on recent and upcoming litters. 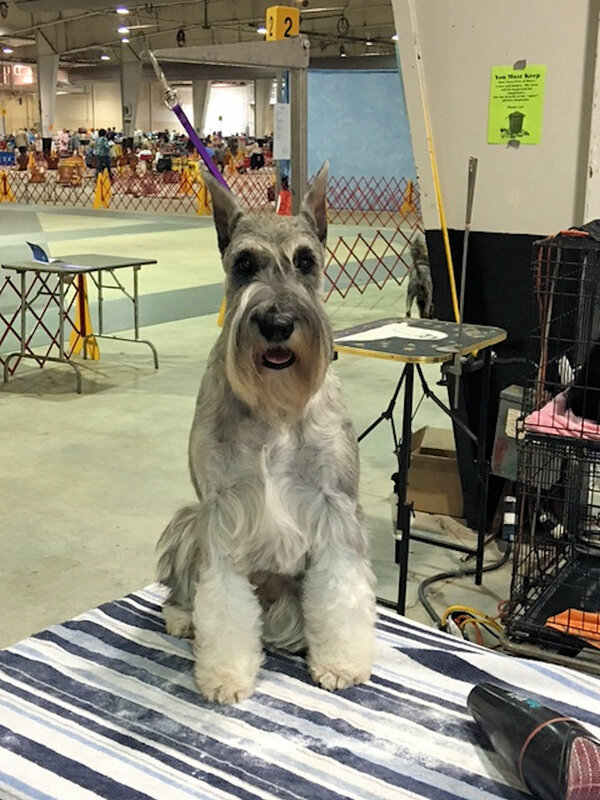 April 3-7, 2019 (Thursday-Sunday) – Information about the upcoming Standard Schnauzer National Specialty is posted at ssca2019specialty.standardschnauzer.org. The show will be at Purina Farms, Gray Summit, Missouri, which is approximately 35 miles WSW of The Gateway Arch in St. Louis. 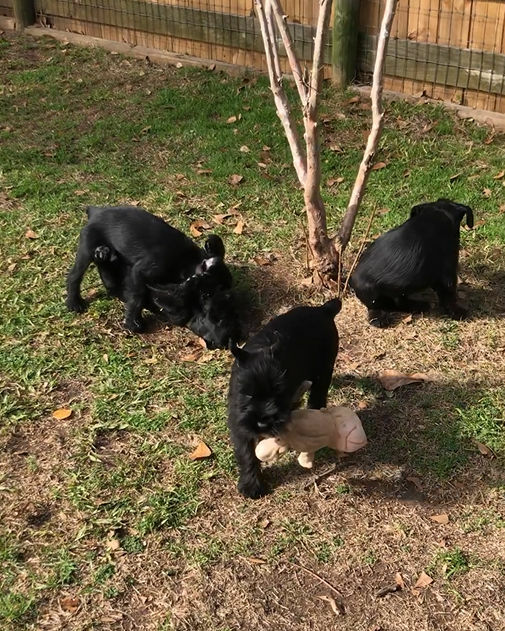 January, 2019 – What a thrilling time for families to meet their new Standard Schnauzer puppy and take him or her home. Click on the upper picture to your right to see some pictures of our puppies and their new families, including Cabot and Stachi pups leaving to go to their forever homes. We miss them already! Thanks to all of these wonderful people! There's also a really cute movie clip of puppies playing in the yard. Click on the lower picture for the movie clip. Enjoy!! December 15-16, 2018 – Presented by Royal Canin, this year's show was in Orlando, Florida. 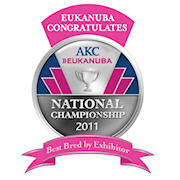 Details are available at www.akc.org/sports/conformation/national-championship/. Jesse O earned his RATCH X in Barn Hunt at Sheboygan, Wisconsin over the weekend. He is only 13 months old, but loves to hunt for rats. He is such a joy. Check out his smile. March 25, 2016 – ANNOUNCING! 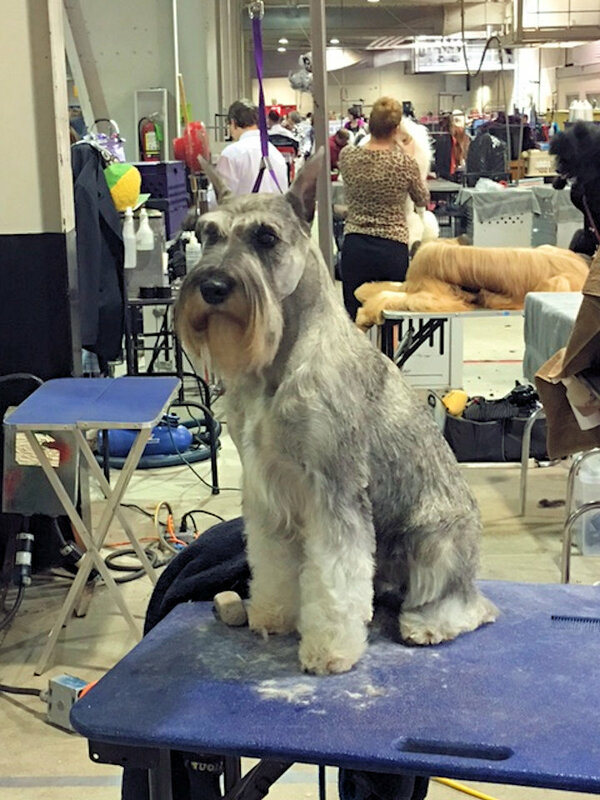 Thelma goes on a road trip with Don and Liz and is awarded her Grand Champion status within a few weekends! Thelma is Parker's sister. 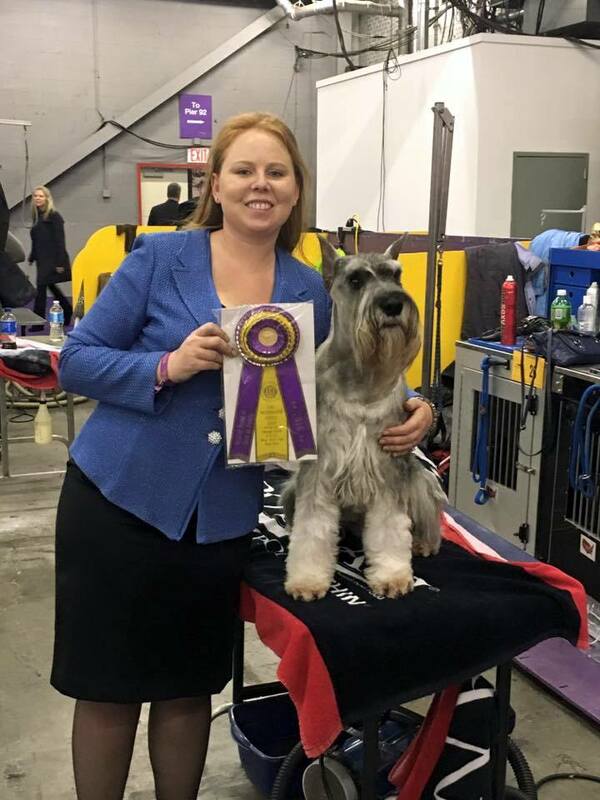 February 15-16, 2016 – Shana Schnauzers is honored that our own Parker was invited and competed at The 2016 Westminster Dog Show at Madison Square Garden, New York City. 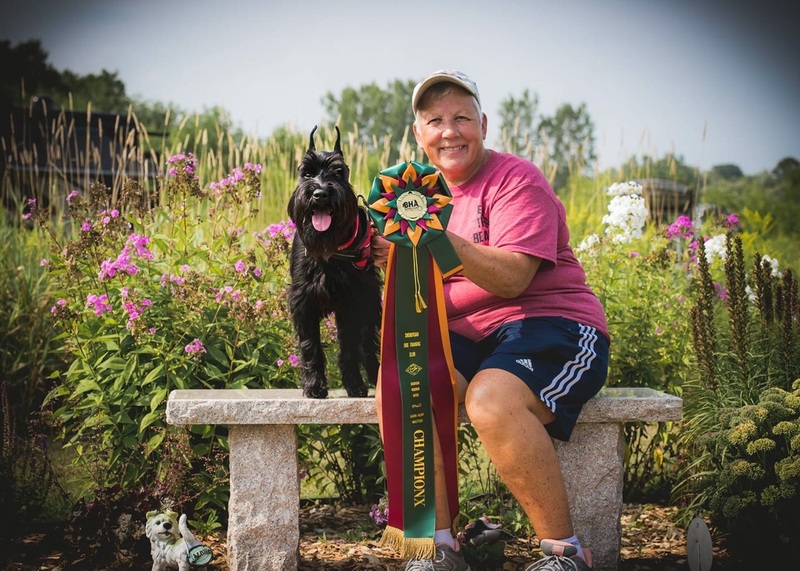 August 11, 2015 – Grand Champion Shana's Blue Bayou (Parker) is the top Standard Schnauzer in the AKC, #1 in breed points, and has retained that title for all of 2015. 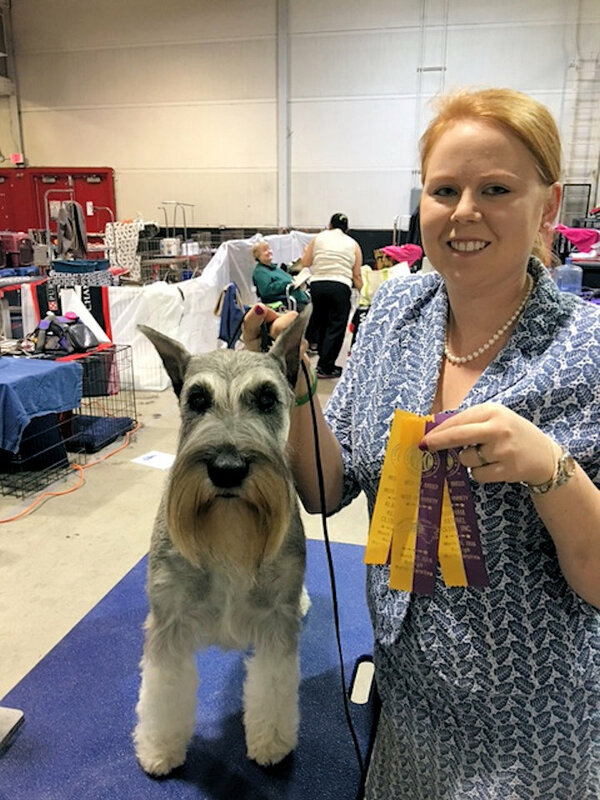 Shana Schnauzers was particularly proud of our Parker when he won Best of Breed the weekend of the Standard Schnauzer National Specialty in June at Richmond, Virginia. Please visit our Males page and read Parker's exciting story.